Moreover, in this particular counsel of God, the special emphasis is placed on the fact that man is created after the image and likeness of God and therefore stands in an entirely different relationship to God than all other creatures. It is said of no other creatures, not even of the angels, that they were created in God’s image and that they exhibit His image. They may possess hints and indications of one or several of God’s attributes, but of man alone it is affirmed that he is created after God’s image and in His likeness. Finally, Scripture expressly mentions that this creation of man in God’s image must come to expression particularly in his dominion over all living beings and in the subjection to Him of the whole earth. Because man is the child or offspring of God, he is king of the earth. Being children of God and heirs of the world are two things already closely related to each other, and inseparably related to each other, in the creation. The first chapter tells of the creation of heaven and earth and lets these lead up to the making of man. In this chapter man is the last creature called into existence by God’s omnipotence. He stands at the end of the series of creatures as the lord of nature, the king of the earth. But the second chapter, from Genesis 2:4b on, begins with man, proceeds from him as starting point, sets him at the center of things, and then relates what happened in the creation of man, how this took place for the man and for the woman, what dwelling place was appointed for him, with what vocation he was entrusted, and what purpose and destiny was his. The first chapter speaks of man as the end or purpose of the creation; the second deals with him as the beginning of history. The content of the first chapter can be comprised in the name creation, and that of the second chapter in the name Paradise. There are three particulars which are told us in this second chapter concerning man’s origin, and which serve as the elaboration of what is contained in the first chapter. In the first place there is a fairly broad treatment of the first dwelling place of man. The first chapter simply stated in general terms that man was created after God’s image and that he was appointed lord over the whole earth. But it gives no hint as to where on the face of the globe man first saw the light of life and where he first lived. This we are, however, told in the second chapter. When God had made the heaven and the earth, and when He had called the sun, moon, and stars, the plants and birds, the animals of the land and those of the water, then no specific place had yet been set aside as a dwelling for man. Hence God rests before He creates man and prepares for him a garden or Paradise in the country of Eden, east of Palestine. That garden is arranged in a particular way. God lets all kinds of trees come up out of the soil there — trees beautiful to see and serviceable for food. Two of these trees are designated by name, the tree of life planted in the middle of the garden, and also the tree of the knowledge of good and evil. The garden was laid out in such a way that a river which had its point of origin higher up in the territory of Eden flowed through it, and then forked out into four streams, the Pison, the Gihon, the Tiger, and the Euphrates. A great deal of toil and effort has in the course of the centuries gone into trying to determine where Eden and the garden of Eden were located. Various representations have been put forward about that one river that came up in Eden and flowed through the garden, about the four rivers into which that major stream parted, about the name of the territory of Eden, and about the garden inside it. But all of these representations have remained conjectures. None has been established by solid proof. Two interpretations would, however, seem to deserve the preference. The first is the one according to which Eden lay towards the north in Armenia; the other holds that it was farther south, in Babylonia. It is hard to decide between these two. The details given in Scripture are no longer adequate to determine just where this territory lay. But when we recall that the people who sprang from Adam and Eve, though banned from Eden, nevertheless at first lingered in that general area (Gen. 4:16), and that Noah’s ark after the flood came to rest on Mount Ararat (Gen. 8:4), and that the new mankind after the flood spread out from Babel over the earth (Gen. 11:8-9), then it can hardly be doubted that the cradle of humanity stood in that area bounded by Armenia on the North and Shinar in the South. In modern times scholarship has come to reinforce this teaching of Scripture. True, in the past, historical investigation made all sorts of guesses about the original home of mankind, seeking it, in turn, in all parts of the earth, but it is more and more retracing its steps. Ethnology, the history of civilization, philology all point to Asia as the continent where once the cradle of mankind stood. A second feature to attract attention in Genesis 2 is the probationary command given to man. Originally this first man was simply called the man (ha-adam) for he was alone for a while and there was no one beside him who was like him. It is not until Gen. 4:25 that the name Adam occurs without the definite article. There the name first becomes individual. This indicates clearly that the first man, who for a while was the only human being, was the beginning and origin and head of the human race. As such he received a double task to perform: first,to cultivate and preserve the garden of Eden, and, second, to eat freely of all the trees in the garden except of the tree of the knowledge of good and evil. The first task defines his relationship to the earth, the second his relationship to heaven. Adam had to subdue the earth and have dominion over it, and this he must do in a twofold sense: he must cultivate it, open it up, and so cause to come up out of it all the treasures which God has stored there for man’s use; and he must also watch over it, safeguard it, protect it against all evil that may threaten it, must, in short, secure it against the service of corruption in which the whole of creation now groans. A third particular of this second chapter of Genesis is the gift of the woman to the man and the institution of marriage. Adam had received much. Though formed out of the dust of the earth, he was nevertheless a bearer of the image of God. He was placed in a garden which was a place of loveliness and was richly supplied with everything good to behold and to eat. He received the pleasant task of dressing the garden and subduing the earth, and in this he had to walk in accordance with the commandment of God, to eat freely of every tree except the tree of the knowledge of good and evil. But no matter how richly favored and how grateful, that first man was not satisfied, not fulfilled. The cause is indicated to him by God Himself. It lies in his solitude. It is not good for the man that he should be alone. He is not so constituted, he was not created that way. His nature inclines to the social — he wants company. He must be able to express himself, reveal himself, and give himself. He must be able to pour out his heart, to give form to his feelings. He must share his awarenesses with a being who can understand him and can feel and live along with him. Solitude is poverty, forsakenness, gradual pining and wasting away. How lonesome it is to be alone! Then, when man could not find the thing he sought, then, quite apart from man’s own witting and willing, and without contributive effort on his own part, God gave man the thing he himself could not supply. The best things come to us as gifts; they fall into our laps without labor and without price. We do not earn them nor achieve them: we get them for nothing. The richest and most precious gift which can be given to man on earth is woman. And this gift he gets in a deep sleep, when he is unconscious, and without any effort of will or fatigue of the hand. True, the seeking, the looking about, the inquiring, the sense of the need precedes it. So does the prayer. But then God grants the gift sovereignly, alone, without our help. It is as though He conducts the woman to the man by His own hand. Thereupon the first emotion to master Adam, when he wakes up and sees the woman before him, is that of marvelling and gratitude. He does not feel a stranger to her, but recognizes her immediately as sharing his own nature with him. His recognition was literally a recognition of that which he had felt he missed and needed, but which he could not himself supply. And his marvelling expresses itself in the first marriage hymn or epithalamium ever to be sounded on the face of the earth: “This is now bone of my bones, and flesh of my flesh: she shall be called Woman, because she was taken out of man.” Adam therefore remains the source and head of the human race. The woman is not merely created alongside of him but out of him (1 Cor. 11:8). Just as the stuff for making Adam’s body was taken from the earth, so the side of Adam is the basis of the life of Eve. But just as out of the dust of the earth the first man became a living being through the breath of life which came from above, so out of Adam’s side the first woman first became a human being by the creative omnipotence of God. She is out of Adam and yet is another than Adam. She is related to him and yet is different from him. She belongs to the same kind and yet in that kind she occupies her own unique position. She is dependent and yet she is free. She is after Adam and out of Adam, but owes her existence to God alone. And so she serves to help the man, to make his vocation of subduing the earth possible. She is his helper, not as mistress and much less as slave, but as an individual, independent, and free being, who received her existence not from the man hut from God, who is responsible to God, and who was added to man as a free and unearned gift. Such is the idea of the theory of evolution. Such, according to it, was the course of events. But the evolutionist also felt called upon to say something about the way in which all this took place. It was easy enough to say that plants and animals and men had formed an unbroken and rising series of beings. But the evolutionist felt that he ought to do something towards demonstrating that such a development was actually possible, that an ape, for instance, could gradually come to be a man. Charles Darwin in 1859 attempted such a demonstration. He noticed that plants and animals — roses and doves, for example — could by artificially assisted natural selection be brought to exhibit significant modifications. Thus he hit upon the idea that in nature, too, such a natural selection might have been operative, a selection not artificially controlled by human intervention, but unconscious, arbitrary, natural. With this thought a light dawned on him. For by accepting such a theory of natural selection he supposed himself in a position to explain how plants and animals gradually undergo changes, how they can overcome defects in their organization and can achieve advantages, and that in such a way they constantly equip themselves better for successful competition with others in the struggle for existence. For, according to Darwin, life is always and everywhere in the whole creation just that: a struggle for existence. Superficially observed, it may seem that there is peace in nature, but this is a deceptive appearance. Rather, there is that constant struggle for life and the necessaries for life, for the earth is too small and too meager to supply all the beings that are born into it with the requisite foods. Hence millions of organisms perish because of need; only the strongest survive. And these strongest ones, who are superior to the others because of some property they have developed, gradually transfer their acquired, advantageous characteristics to their posterity. In evaluating this theory of evolution it is necessary above all to make a sharp distinction between the facts to which it appeals and the philosophical view with which it looks at them. The facts come down to this: that man shares all kinds of characteristics with other living beings, more particularly with the higher animals, and among these in turn especially with the apes. Naturally, these facts were for the most part known before Darwin also, for the correspondence in physical structure, in the several organs of the body and in their activities, in the five senses, in the perceptions and awarenesses, and the like, is something which all who look may see, and simply is not susceptible to denial. But the sciences of anatomy, biology, and physiology, and also that of psychology, have in recent times investigated those corresponding characteristics much more thoroughly than was done before. The characteristics of resemblance have accordingly increased in number and importance. There were other sciences too which contributed their part to confirming and extending these similarities between man and animal. The science of embryology, for instance, indicated that a human being in its beginnings in the womb resembles a fish, an amphibian, and the lower mammals. Paleontology, which busies itself with the study of conditions and circumstances in ancient times, discovered remnants of human beings — skeletons, bones, skulls, tools, ornaments, and the like — which pointed to the fact that centuries ago some people in some parts of the earth lived in a very simple way. And ethnology taught that there were tribes and peoples who were widely separated both spiritually and physically from the civilized nations. When these facts, brought together from various sides, became known, philosophy soon busied itself with combining them into an hypothesis, the hypothesis of the gradual evolution of all things, and specifically also of man. This hypothesis did not come up after the facts were discovered nor because of them, but existed a long time ago, was sponsored by a number of philosophers, and was now applied to the facts, some of which were newly discovered. The old hypothesis, the old theory, now came to rest, it was supposed, on the firmly founded facts. A sort of hurrah went up because of the fact that now all the riddles of the world, except that one of the eternal matter and energy, were solved and all secrets were discovered. But hardly had this proud edifice of the evolutionary philosophy been built when the attack upon it began and it started to crumble. Darwinism, says a distinguished philosopher, came up in the 1860’s, staged its triumphal procession in the 1870’s, was thereupon questioned by some few in the 1890’s, and since the turn of the century has been strongly attacked by many. There is more than hatred and animosity in the world. There is also love and cooperation and help. The doctrine that there is nothing anywhere but warfare on the part of all against all is just as one-sided as the idyllic view of the eighteenth century that everywhere in nature there is rest and peace. There is room for many at the big table of nature, and the earth which God gave as a dwelling place for man, is inexhaustibly rich. Consequently, there are many facts and manifestations which have nothing to do with a struggle for existence. Nobody, for instance, can point out what the colors and figures of the snail’s skin, the black color of the underbelly in many vertebrate animals, the graying of the hair with increasing age, or the reddening of the leaves in the autumn have to do with the struggle for existence. Nor is it true that in this struggle the strongest types always and exclusively win the victory, and that the weakest are always defeated. A so-called coincidence, a fortunate or unfortunate circumstance, often mocks all such calculations. Sometimes a strong person is taken away in the strength of his years, and sometimes a physically weak man or woman reaches a ripe old age. Such considerations led a Dutch scholar to substitute another theory for that of Darwin’s natural selection, that of mutation, according to which the change of species did not take place regularly and gradually, but suddenly sometimes, and by leaps or jumps. But in this matter the question is whether these changes really represent new species or simply modifications in the species already extant. And the answer to that question hinges again on just what one means by species. More and more, therefore, Darwinism proper, that is, Darwinism in the narrower sense, namely, the effort to explain change of species in terms of the struggle for existence, natural selection, and the transfer of acquired characteristics was abandoned by the men of science. The prediction of one of the first and most eminent of opponents of Darwin’s theory was literally fulfilled: namely, that this theory for explaining the mysteries of life would not last till even the end of the nineteenth century. But more important is the fact that criticism has not been directed against Darwin’s theory alone but against the theory of evolution itself also. Naturally, facts remain facts and may not be ignored. But theory is something else, something built upon the facts by thought. And what became more and more evident was that the theory of evolution did not fit the facts but was even in conflict with them. Geology, for instance, revealed that the lower and higher sorts of animals do not follow each other in sequence but as a matter of fact existed alongside of each other ages ago. Paleontology did not come up with a single piece of conclusive evidence for the existence of transitional types between the several species of organic beings. Still, according to Darwin’s theory of extremely gradual evolution by way of extremely small changes, these types should have been present in quantity. Even the ardently sought after and energetically pursued intermediary type between man and the ape was not discovered. Embryology, it is true, does point to a certain external similarity between the various stages in the development of the embryo of man and that of other animal bodies. But this similarity is external for the simple reason that from an animal embryo a human being is never born, nor an animal from a human embryo. In other words, man and animal go in different directions from conception on, even though the internal differences cannot then be perceived. Biology has up to this time offered so little support to the proposition that life generated itself that many now accept the impossibility of that and are returning to the idea of a special life force or energy. Physics and chemistry, in proportion to the extent to which they have pressed their investigations, have found more and more secrets and marvels in the world of the infinitely small, and have caused many to return to the thought that the basic constituents of things are not material entities but forces. And — to mention no further evidences — all the efforts that have been put forth to explain consciousness, freedom of the will, reason, conscience, language, religion, morality, and all such manifestations, as being solely the product of evolution have not been crowned with success. The origins of all these manifestations, like those of all other things, remain shrouded in darkness for science. This position is of course entirely correct: reality remains the same, irrespective of whether we form a true or a false idea of it. But the same holds of course concerning the origin of things. Even though we imagine that the world and mankind came into being in some particular fashion — gradually, say, during the course of centuries, by all sorts of infinitesimally small changes through self-generation — such a supposition does not, of course, change the actual origin. The world came into being in the way that it did, and not in the way we wish it or suppose it. But the idea we have of the origin of things is inseparably connected with the idea we have of the essence of things. This is so evident that it requires no ampler illumination or confirmation. But because the notion that we can think what we please about the origin of things, inasmuch as what we think of their essence is unaffected by it, is a notion which comes back again and again — for example, in the doctrine of Scripture, the religion of Israel, the person of Christ, religion, morality, and the like — it may be useful now, in consideration of the essence of man, to indicate the falsity of that notion once more. It is not difficult to do so. For if man has gradually evolved himself, so to speak, without God and solely through blindly operative natural forces, then it follows naturally enough that man cannot differ essentially from the animal, and that, in his highest development also, he remains an animal. For a soul distinguished from the body, for moral freedom and personal immortality, there is then no room at all. And religion, truth, morality, and beauty then lose their proper (absolute) character. These consequences are not something which we impose on the proponents of the theory of evolution but something rather which they themselves deduce from it. Darwin, for instance, himself says that our unmarried women, if they were educated under the same conditions as honey bees are, would think it a sacred duty to kill their brothers even as the working bees do, and mothers would try to murder their fertile daughters without anybody caring to intervene. According to Darwin, therefore, the whole of the moral law is a product of circumstances, and consequently it changes as the circumstances change. Good and evil, even as truth and falsehood, are therefore relative terms, and their meaning and worth are, like fashions, subject to the changes of time and place. So, too, according to others, religion was but a temporary aid, something of which man in his inadequacy for the struggle against nature made use, and which now too can serve as an opiate for the people, but something which on the long run will naturally die out and disappear when man has come into his full freedom. Sin and transgression, felony and murder do not constitute man guilty but are after-effects of the uncivilized state in which man formerly lived, and they decrease in proportion to the extent that man develops and society improves. Criminals are, accordingly, to he regarded as children, animals, or insane types, and should be dealt with accordingly. Prisons should give way to reformatories. In short, if man is not of Divine but of animal origin and has gradually “evolved” himself he owes everything to himself alone, and is his own lawgiver, master, and lord. All these inferences from the (materialistic or pantheistic) theory of evolution come to expression very clearly in contemporary science as well as in contemporary literature, art, and practical polity. Presumably it is therefore true that most of the animal types are not distributed over the whole earth, but live in particular areas. The fishes live in the water, the birds in the air, and the land animals for the most part are limited to definite territories: the polar bear, for instance, is found only in the far north, and the duck-billed platypus only in Australia. And so in Genesis it is specifically stated that God created the plants (1:11) and also the animals after their kind — that is, according to types. Naturally, this does not mean to say that the types which were originally created by God were exactly those into which science, that of Linnaeus, say, now classifies them. For one thing our classifications are always liable to error because our zoology is still defective and inclined to regard variants as types and vice versa. The artificial, scientific concept of an animal type is very difficult to establish and is always very different from the natural concept of type for which we are always still seeking. Moreover, in the course of centuries a great many animal kinds have died out or been destroyed. From the remains, whether whole or blasted, which we have of some of them, it is evident that various kinds of animals, such as the mammoth, for instance, which no longer exists, once abounded in quantity. And in the third place it should be remembered that as a result of various influences big modifications and changes have taken place in the animal world which often make it difficult or even impossible for us to trace them back to an original type. But the Scriptures do teach that there are angels, not the mythical creations of the human imagination, not the personifications of mysterious forces, not the deceased who have now climbed to higher levels, but spiritual beings, created by God, subject to His will, and called to His service. They are beings, therefore, of whom, in the light of Scripture, we can form a definite idea, and such as have nothing in common with the mythological figures of the Pagan religions. In knowledge they are raised high above man,8 and in power,9 but they were nevertheless made by the same God and the same Word (John 1:3 and Col. 1:16), and they have the same reason and the same moral nature, so that, for instance, it is said of the good angels that they obey God’s voice and do His pleasure (Ps. 103: 20-21), and of the evil angels that they do not stand in the truth (John 8:44), that they lead astray (Eph. 6:11), and that they sin (2 Peter 2:4). But, in spite of this correspondence between them, there exists a big difference between angels and men. It consists, in the first place, of the fact that the angels do not have soul and body, but are pure spirits (Heb. 1:14). True, at the time of their revelation they often appeared in physical forms, but the several forms in which they appeared10 point to the fact that these assumed forms of manifestation were temporary and that they changed in accordance with the nature of the mission. Never are the angels called souls, living souls, as the animals are and as man is. For soul and spirit differ from each other in this respect that the soul, too, is by nature spiritual, immaterial, invisible, and, even in man is a spiritually independent entity though it is always a spiritual power or spiritual entity which is oriented to a body, suits a body, and without such a body is incomplete and imperfect. The soul is a spirit designed for a physical life. Such a soul is proper to animals and particularly to man. When man loses his body in death, he continues to exist, but in an impoverished and bereft condition, so that the resurrection on the last day is a restoration of the lack. But the angels are not souls. They were never intended for a bodily life and were not given earth but heaven as a dwelling place. They are pure spirits. This gives them great advantages over man, for they stand higher in knowledge and power, stand in a much freer relationship to time and space than men do, can move about more freely, and are therefore exceptionally well adapted to carrying out God’s commands on earth. But — and this is the second distinction between men and angels — those advantages have their opposite side. Because the angels are pure spirits, they all stand in a relatively loose relationship with reference to each other. They were all originally created together and they all continue to live alongside each other. They do not form one organic whole, one race or generation. True, there is a natural order among them. According to Scripture there are a thousand times a thousand angels,11 and these are divided into classes: cherubims (Gen. 3:24), seraphims (Isa. 6), and thrones, dominions, principalities, and powers (Eph. 1:21 and Col. 1:16; 2:10). And there is further distinction of rank within the groups: Michael and Gabriel have a special place among them.12 Nevertheless, they do not constitute one race, are not blood relatives, did not beget each other. It is possible to speak of a mankind but not of an angelkind. When Christ assumed the human nature He was immediately related to all men, related by blood, and He was their brother according to the flesh. But the angels live next to each other, each one accountable for himself and not for the others, so that a portion of them could fall and a portion remain faithful to God. The third distinction between man and angel is related’ to the second. Because the angels are spirits and are not related to the earth, because they are not related by blood, and do not know such distinctions as father and mother, parents and children, brothers and sisters, therefore there is a whole world of relationships and connections, ideas and emotions, desires and duties of which the angels know nothing. They may be more powerful than men, but they are not so versatile. They stand in fewer relationships, and in riches and depth of the emotional life man is far superior to the angel. True, Jesus says in Matthew 22:30 that marriage will end with this dispensation, but nevertheless the sexual relationships on earth have to a significant extent increased the spiritual treasures of mankind, and in the resurrection, too, these treasures will not be lost but will be preserved into eternity. If to all this we add the consideration that the richest revelation of God which He has given us is revealed to us in the name of the Father, and in the name of the Son — who became like unto us and is our prophet, priest, and king — and in the name of the Holy Spirit who is poured out in the church and who causes God Himself to dwell in us, then we feel that not the angel, but man, was created after the image of God. Angels experience His power, and wisdom, and goodness, but human beings share in His eternal mercies. God is their Lord, but He is not their Father; Christ is their Head, but He is not their Reconciler and Savior; the Holy Spirit is their Sender and Guide but He never testifies with their spirit that they are children and heirs of God, and joint-heirs with Christ. Hence the eyes of the angels are cast upon the earth, for there God’s richest grace has appeared, there the struggle between heaven and earth is fought out, there the church is formed into the body of the Son, and there the conclusive blow will someday be struck and the final triumph of God be achieved. Hence it is that they desire to look into the mysteries of salvation being revealed on earth and to learn to know from the church the manifold wisdom of God (Eph. 3:10 and 1 Peter 1:12). Angels, accordingly, stand in numerous relationships with us, and we in many-sided relationship with them. Belief in the existence and activity of angels is not of the same worth as the belief with which we trust in God and love, fear, and honor Him with our whole heart. We may not put our trust in any creature or in any angel; we may not worship the angels or in any way give them religious honor.13 In fact, there is in Scripture not a single word about any guardian angel, appointed to serve each human being in particular, or about any intercession on the part of the angels in our behalf. But this does not mean that believing in angels is indifferent or worthless. On the contrary, at the time when revelation came into being, they played an important role. In the life of Christ they appeared at all turning points of His career, and they will one day be manifested with Him upon the clouds of heaven. And always they are ministering spirits sent out to minister for them who shall be heirs of salvation (Heb. 1:14). They rejoice in the repentance of the sinner (Luke 15:10). They watch over the faithful (Ps. 34:7 and 91:11), protect the little ones (Matt. 18:10), follow the church in its career through history (Eph. 3:10), and bear the children of God into Abraham’s bosom (Luke 16:22). Therefore we are to think of them with respect and speak of them with honor. We are to give them joy by our repentance. We are to follow their example in the service of God and in obedience to His word. We are to show them in our own hearts and lives and in the whole of the church the manifold wisdom of God. We are to remember their fellowship and together with them declare the mighty works of God. Thus there is difference between men and angels, but there is no conflict; differentiation but also unity; distinction but also fellowship. When we arrive at Mount Zion, the city of the living God, the heavenly Jerusalem, then we come also to the many thousands of angels and rebind the tie of unity and love that was broken by sin (Heb. 12:22). Both they and we have our own place in the rich creation of God and achieve our peculiar function there. Angels are the sons, the mighty heroes, the powerful hosts of God. Men were created in His image and are God’s generation. They are His race. We read in Genesis 1:26 that God created man in His image and after His likeness in order that man should have dominion over all creatures, particularly over all living creatures. Three things deserve consideration in that. In the first place, the correspondence between God and man is expressed in two words: image and likeness. These two words are not, as many have supposed, materially different, different in content, but serve to amplify and support each other. Together they serve to state that man is not an unsuccessful portrait, or a somewhat similar one, but that he is a perfect and totally corresponding image of God. Such as man is in miniature. such is God in the large, the infinitely large outline, for man is such as God is. Man stands infinitely far beneath God and is nevertheless related to Him. As creature man is absolutely dependent upon God and yet as man he is a free and independent being. Limitation and freedom, dependence and independence, immeasurable distance and intimate relation over against God, these have been combined in an incomprehensible way in the human being. How a mean creature can at the same time be the image of God — that goes far beyond our grasp. The contrary is sometimes affirmed on the ground that in 1 Corinthians 11:7 Paul says that man is the image and glory of God and that woman is the glory of man. This text is frequently abused so as to deny the image of God to the woman and to debase her far below the level of the man. But Paul is there not speaking of man and woman considered apart from each other but about their relationship in marriage. And then he says that it is the man and not the woman who is the head. And he deduces this from the fact that the man is not from the woman, but the woman from the man. The man was created first, was first made in the image of God, and to him God first revealed His glory. And if the woman shares in all this, this takes place mediately, from and through the man. She received the image of God, but after man, in dependence upon him, by way of his mediation. Hence man is the image and glory of God directly and originally; the woman is the image and glory of God in a derived way in that his is the glory of man. What we read of this matter in Genesis 2 must be added to what we read of it in Genesis 1. The way in which woman is created in Genesis 2 is the way along which she receives the image of God as well as the man (Gen. 1:27). In this is contained the further truth that the image of God rests in a number of people, with differentiation of race, talent, and powers — in short in mankind — and further that this image will achieve its full unfolding in the new humanity which is the church of Christ. In the third place, Genesis 1:26 teaches us that God had a purpose in creating man in His image: namely, that man should have dominion over all living creatures and that he should multiply and spread out over the world, subduing it. If now we comprehend the force of this subduing under the term culture, now generally used for it, we can say that culture in the broadest sense is the purpose for which God created man after His image. So little are cultus and culture, religion and civilization, Christianity and humanity in conflict with each other that it would be truer to say God’s image had been granted to man so that he might in his dominion over the whole earth bring it into manifestation. And this dominion of the earth includes not only the most ancient callings of men, such as hunting and fishing, agriculture and stock-raising, but also trade and commerce, finance and credit, the exploitation of mines and mountains, and science and art. Such culture does not have its end in man, but in man who is the image of God and who stamps the imprint of his spirit upon all that he does, it returns to God, who is the First and the Last. In Genesis 5:1-3 we are reminded once more that God created man, man and woman together, in His image, and that He blessed them, and that Adam thus begot a son in his own likeness, after his image. In Genesis 9:6 the shedding of man’s blood is forbidden for the reason that man was made in the image of God. The poet of the beautiful eighth psalm sings of the glory and majesty of the Lord which reveals itself in heaven and earth, and most splendidly of all in insignificant man and his dominion over all the works of God’s hands. When Paul spoke to the Athenians on Mars’ Hill, he quoted one of their poets approvingly: For we are also His offspring (Acts 17:28). In James 3:9 the Apostle by way of demonstrating the evil of the tongue makes use of this contrast: that with it we bless God, even the Father, and with it we curse men who are made after the similitude of God. And Scripture not only calls fallen man the image of God, but it keeps on regarding and dealing with him as such throughout. It constantly looks upon man as a reasonable, moral being who is responsible to God for all his thoughts and deeds and words and is bound to His service. Alongside of this representation, however, we find the idea that through sin man has lost the image of God. True, we are not anywhere told this directly in so many words. But it is something that can clearly be deduced from the whole teaching of Scripture concerning sinful man. After all, sin — as we shall consider more specifically later has robbed man of innocence, righteousness, and holiness, has corrupted his heart, darkened his understanding, inclined his will to evil, turned his inclinations right-about-face, and placed his body and all its members in the service of unrighteousness. Accordingly man must be changed, reborn, justified, cleansed, and sanctified. He can share in all these benefits only in the fellowship with Christ who is the Image of God (2 Cor. 4:4 and Col. 1:15) and to whose image we must be conformed (Rom. 8:29). The new man, accordingly, who is put in the fellowship with Christ through faith, is created in accordance with God’s will in true righteousness and holiness (Eph. 4:24) and is constantly renewed in knowledge after the image of Him that created him (Col. 3:10). The knowledge, righteousness, and holiness, which the believer obtains through the fellowship with Christ, have their origin, and example, and final purpose in God and they cause man again to share in the Divine nature (2 Peter 1:4). After all, the image of God in the narrower sense is nothing other than the spiritual wholeness or health of man. When a human being becomes sick in body and soul, even when he becomes insane in mind, he continues to be a human being. But he has then lost something that belongs to the harmony of man, and has received something in its stead which conflicts with that harmony. Just so, when through sin man has lost the original righteousness, he continues to be man, but he has lost something that is inseparable from the idea of man and has received something instead that is alien to that idea. Hence, man, who lost the image of God, did not become something other than man: he preserved his rational and moral nature. The thing that he lost was not something which really did not belong to his nature in the first place and what he received instead was something that seized upon and corrupted his whole nature. Just as the original righteousness was man’s spiritual wholeness and health, so sin is his spiritual disease. Sin is moral corruption, spiritual death, death in sins and transgressions, as Scripture describes it. If, now, we try briefly to survey the content of the image of God, the first thing that comes up for attention is man’s spiritual nature. He is a physical, but he is also a spiritual being. He has a soul which, in essence, is a spirit. This is evident from what the Holy Scripture teaches concerning the origin, essence, and duration of the human soul. As to that origin, we read concerning Adam that he, unlike the animals, received a breath of life from above (Gen. 2:7) and in a sense this holds for all men. For it is God who gives every man his spirit (Eccles. 12:7), who forms the spirit of man within him (Zechariah 12:1), and who, therefore, in distinction from the fathers of the flesh, can be called the Father of spirits (Heb. 12:9). This special origin of the human soul determines its essence also. True, Scripture several times ascribes a soul to animals (Genesis 2:19 and 9:4, and elsewhere) but in these instances the reference, as some translations also have it, is to a principle of life in the general sense. Man has a different and a higher soul, a soul which in very essence is spiritual in kind. This is evident from the fact that Scripture does ascribe a peculiar spirit to man but never to the animal. Animals do have a spirit in the sense that as creatures they are created and sustained by the Spirit of God (Ps. 104:30) but they do not, each of them, have their own, independent spirit. Man has.14 Because of its spiritual nature the soul of man is immortal; it does not as in the animals die when the body dies, but it returns to God who has given the spirit (Eccles. 12:7). It cannot, like the body, be killed by men (Matt. 10:28). As spirit it continues to exist (Heb. 12:9 and 1 Peter 3:19). In the second place, the image of God is revealed in the abilities and powers with which the spirit of man has been endowed. It is true that the higher animals can by sensation form images and relate these to each other, but they can do no more. Man, on the contrary, raises himself above the level of images and enters the realm of concepts and ideas. By means of thought, which cannot be understood as a movement of the brain but must be regarded as a spiritual activity, man deduces the general from the particular, rises from the level of the visible to that of the invisible things, forms ideas of the true, the good, and the beautiful, and he learns to know God’s eternal power and Godhead from God’s creatures. By means of his willing, which must also be distinguished from his sinful desire, he emancipates himself from the material world and reaches out for invisible and suprasensuous realities. His emotions even are by no means set in motion merely by useful and pleasurable things inside the material world but are roused and stimulated also by ideal, spiritual goods which are quite insusceptible to arithmetical calculation. All of these abilities and activities have their point of departure and their center in the self-consciousness by which man knows himself and by means of which man bears within himself an ineradicable sense of his own existence and of the peculiarity of his rational and moral nature. Besides, all these particular abilities express themselves outwardly in language and religion, in morality and law, in science and art, — all of them, of course, as well as many others, peculiar to man and not to be found in the animal world at all. The fruit of such knowledge of the truth was righteousness and holiness. Holiness means that the first man was created free of all taint of sin. His nature was unspoiled. No evil thought, deliberation, or desire came up out of his heart. He was not innocent or simple, but he knew God, and he knew the law of God that was written in his heart, and he loved that law with his whole soul. Because he stood in the truth, he stood also in love. Righteousness means that the man who thus knew the truth in his mind, and who was holy in his will and in all his desires, thereby also corresponded wholly to God’s law, wholly satisfied the demands of His justice, and stood before His face without any guilt. Truth and love bring peace in their wake, peace with God, and ourselves, and the whole world. The man who himself stands in the right place, the place where he belongs, also stands in the right relationship to God and to all creatures. Of this state and circumstance in which the first man was created we can no longer form an idea. A head and a heart, a mind and a will, all of them altogether pure and without sin — that is something which lies far beyond the pale of all our experiences. When we stop to reflect how sin has insinuated itself into all our thinking and speaking, into all our choices and actions, then even the doubt can rise in our hearts whether such a state of truth, love, and peace is possible for man. Holy Scripture, however, wins the victory and conquers every doubt. In the first place, it shows us, not only at the beginning but also in the middle of history, the figure of a man who could with full justice put the question to his opponents: Which of you convinceth me of sin? (John 8:46). Christ was very man and therefore also perfect man. He did no sin neither was guile found in His mouth (1 Peter 2:22). In the second place, Scripture teaches that the first human couple were created after God’s image in righteousness and holiness as the fruit of known truth. Thus the Scriptures maintain that sin does not belong to the essence of human nature, and that it can therefore also be removed and separated from that human nature. The creation of man according to the image of God — we read in Genesis 1:26 and 28 — had as its nearest purpose that man should fill, subdue, and have dominion over the earth. Such dominion is not a constituent element of the image of God. Nor does it, as some have maintained, constitute the whole content of that image. Moreover, it absolutely is not an arbitrary and incidental addendum. On the contrary, the emphasis that is placed upon this dominion and its close relationship with the creation according to the image of God indicate conclusively that the image comes to expression in the dominion and by means of it must more and more explain and unfold itself. Further, in the description of this dominion, it is plainly stated that to a certain extent it was, indeed, immediately given to man as an endowment, but that to a very great extent it would be achieved only in the future. After all, God does not say merely that He will make “men” in His image and likeness (Gen. 1:26), but when He has made the first human couple, man and woman, He blessed them and said to them: Be fruitful, and multiply, and replenish the earth, and subdue it (Gen. 1:28), and He further gave Adam the particular task of dressing and keeping the garden (Gen. 2:15). All this teaches very plainly that man was not created for idleness but for work. He was not allowed to rest upon his laurels, but had to go straight into the wide world in order to subdue it to the power of his word and will. He was given a big, a widely distributed, a rich task on the earth. He was given an assignment which would cost him centuries of effort to accomplish. He was pointed in a direction incalculably far away which he had to take and which he had to pursue to the end. In short, there is a big difference and a wide separation between the condition in which the first man was created and the destination to which he was called. True, this destination is closely related to his nature, just as that nature is closely related to his origin, but there is distinction all the same. The nature of man, the essence of his being — the image of God according to which he was created — had to come to a constantly richer and fuller unfolding of its content by means of its striving towards its destination. The image of God, so to speak, had to be spread to the ends of the earth and had to be impressed on all the works of men’s hands. Man had to cultivate the earth so that it would more and more become a revelation of God’s attributes. The institution of the seven-day week comes to confirm and reinforce this conviction. In his work of creating God rested on the seventh day from all His work. Man, made in the image of God, immediately at the time of the creation gets the right and the privilege to follow in the Divine example in this respect also. The work which is laid upon him, namely, the replenishing and subduing of the earth, is a weak imitation of the creative activity of God. Man’s work, too, is a work which is entered upon after deliberation, which follows a definite course of action, and which is aimed at a specific objective. Man is not a machine which unconsciously moves on; he does not turn about in a treadmill with an unchangeable monotony. In his work too man is man, the image of God, a thinking, willing, acting being who seeks to create something, and who in the end looks back upon the work of his hands with approbation. As it does for God Himself, man’s work ends in resting, enjoyment, pleasure. The six-day week crowned by the Sabbath dignifies man’s work, raises him above the monotonous movement of spiritless nature, and presses the stamp of a Divine calling upon it. Whoever, therefore, on the Sabbath day enters into the rest of God in accordance with His purpose, that person rests from his works in the same glad way as God rests from His (Heb. 4:10). This holds true of the individual and it also holds true of the church and of mankind generally. The world, too, has its world’s work to perform, a work which is followed and concluded by a Sabbath. There remains a rest for the people of God. Each Sabbath Day is but an example and foretaste of it and at the same time also a prophecy and a guarantee of that rest (Heb. 4:9). That is why the Heidelberg Catechism rightly says that God created man good and according to His own image in order that he might rightly know God his Creator, heartily love Him, and live with Him in eternal blessedness to praise and glorify Him. The final purpose of man lay in the eternal blessedness, in the glorification of God in heaven and on earth. But in order to arrive at this end man first had to fulfill his task on earth. In order to enter into the rest of God he first had to finish God’s work. The way to heaven goes through the earth and over the earth. The entrance to the Sabbath is opened by the six days of work. One comes to eternal life by way of work. This teaching of the purpose of man so far rests entirely upon thoughts which are expressed in Genesis 1:26-3:3. But the rest of the second chapter has another important constituent element to add to it. When God places man in paradise, He gives him the right to eat freely of all the trees in the garden except one. That one He singles out as an exception, the tree of knowledge of good and evil. Man is told that he may not eat of that tree, and that on the day he eats of it he will die the death (Gen. 2:16-17). To all that is commanded is now added one thing that is forbidden. The commandments were known to Adam partly from a reading of his own heart, partly from God’s spoken word. Adam did not invent them. God created them in him and communicated them to him. Man is not religiously and morally autonomous. He is not his own lawgiver, and he may not do as he pleases. Rather, God is his only Lawgiver and Judge (Isa. 33:22). All those commandments which Adam received now resolved themselves into this one requirement that he who was created as the image of God should in all his thinking and doing, and throughout his life and work, remain the image of God. Man had to remain such personally in his own life, but also in his marriage relationship, in his family, in his six-day working week, in his rest on the seventh day, in his replenishing and multiplying, in his subduing and having dominion over the earth, and in his dressing and keeping of the garden. Adam was not to go his own way but had to walk in the way that God appointed for him. But all those commandments, which, so to speak, gave Adam ample freedom of movement and the whole earth as his field of operation are augmented, or, better, are limited, by one proscription. This proscription, not to eat of the tree of the knowledge of good and evil, does not belong to the image of God, is not a constituent element of it, but, quite to the contrary, fixes its boundary. If Adam transgresses this proscriptive command, he loses the image of God, places himself outside the fellowship of God, and dies the death. By this command therefore the obedience of man is tested. This command will prove whether man will follow God’s way or his own way, whether he will keep to the right path or go astra4y, whether he will remain a son of God in the house of the Father or want to take the portion of goods that is given him and go to a distant country. Hence, too, this proscriptive command is usually given the name of the probationary command. Hence, too, it has in a certain sense an arbitrary content. Adam and Eve could find no reason why just now the eating of this one particular tree was forbidden. In other words, they had to keep the command not because they fathomed it in its reasonable content and understood it, but solely because God had said it, on the basis of His authority, prompted by sheer obedience, out of a pure regard to their duty. That is why, further, the tree whose fruit they might not eat was called the tree of the knowledge of good and evil. It was the tree which would demonstrate whether man should arbitrarily and self-sufficiently want to determine what was good and what evil, or whether he would in this matter permit himself to be wholly led by the command which God had given concerning it and keep to that. Nevertheless it becomes apparent from the probationary command even more clearly than from the institution of the seven-day week that the end or destiny of man is to be distinguished from his creation. Adam was not yet at the beginning what he could be and had to become at the end. He lived in paradise, but not yet in heaven. He still had a long way to go before he arrived at his proper destination. He had to achieve eternal life by his “commission” and “omission.” In short, there is a big difference between the state of innocence in which the first man was created, and the state of glory for which he was destined. The nature of this difference is further illuminated for us by the rest of revelation. 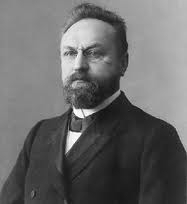 In 1882, he was appointed a Professor of Theology at Kampen, and taught there from 1883 until his appointment, in 1902, to the chair of Systematic Theology in the Free University of Amsterdam, where he succeeded the great Abraham Kuyper, then recently appointed Prime Minister of the Netherlands. In this capacity — an appointment he had twice before declined — Bavinck served until his death in 1921.